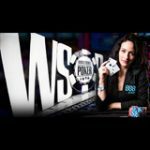 Winner Poker satellites for the WSOP 2013 include four different prize packages for players wanting to qualify online for their seat to the World Series of Poker. Win a Main Event or Side Event prize package and experience Las Vegas in style, all packages include WSOP buy-ins, travel and accommodation. There is a special Winner Spring Promotion running where players get free cash for Winner Casino and Bingo, plus an instant poker bonus. Start qualifying for the 2013 WSOP online in the Winner Poker satellite tournaments which offer players the chance to win World Series of Poker prize packages. 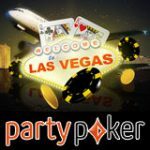 Choose your route to Vegas and play for the prize package which suites you best, there are four satellites to choose from. Win a 2013 WSOP Main Event prize package worth $13,400, every Wednesday and Sunday players can win their seats in the Super Satellites. 7 nights’ accommodation in the Wynn Hotel in Las Vegas worth $1,350. 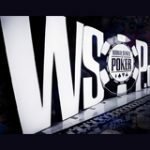 Win a massive 2013 WSOP prize package worth $25,000, which includes a trip for two and buy-ins to the Main Event and Side Event. To qualify players must win 6 consecutive $10 + $1.9 SNG games to win the package. Register for the WSOP Executive Jackpot Sit 'n' Gos in the lobby. Win a 2013 WSOP Side Event package worth $7,100 value, every Saturday players can qualify for their seat in the WSOP Side Events Super Sat. 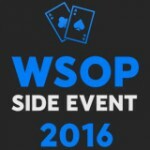 The package includes entry to two separate WSOP Side Events and includes travel and accommodation. Win a WSOP Experience package worth $4,000, experience Vegas for the first time and play a 2013 WSOP Side event. 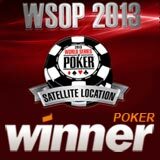 WSOP Experience Super Satellites are available in Tournaments or steps SNG games. * World Series of Poker and WSOP are trademarks of Caesars Interactive Entertainment, Inc. or its affiliates (collectively Harrah's). 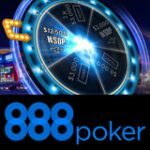 HIE does not sponsor or endorse, and is not associated or affiliated with, Winner Poker & WinAllPoker.com or its products, services, promotions or tournaments. 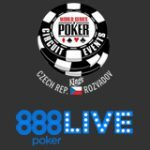 Any promotion or tournament on this site will not guarantee your seat or ability to register for any WSOP event or any WSOP affiliated event which is at the sole discretion of Harrah's.